Ever since I spotted (and then successfully purchased) the Cara Fringe Statement Necklace from Nordstrom a couple of days ago, fringe and tassels have been all that’s on my mind. It’s just something about the movement and texture that they provide that just tickles my fancy. Whether you’re dressing it up or going for casual sexiness, you are sure to make a statement. 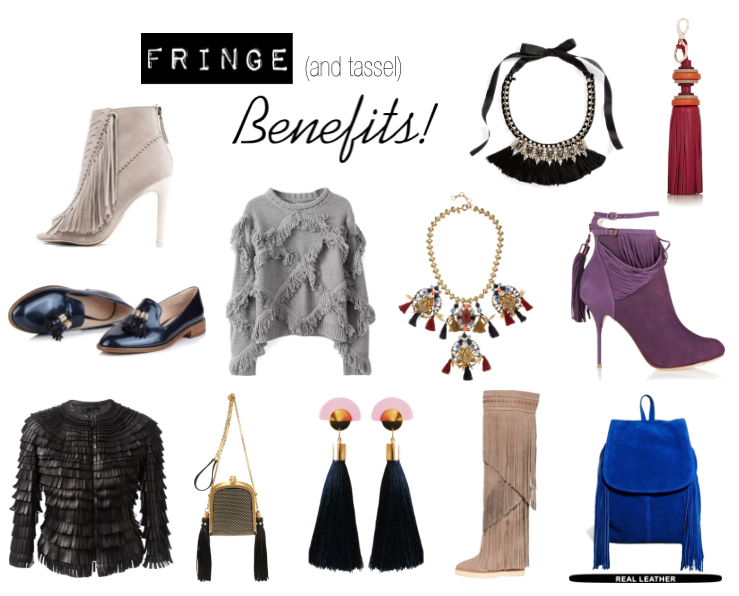 Get into a few of my favorite fringe and tassel pieces of the moment! Previous Post Memo 159: The Stalk is Real! Great selections! Have you ordered from Black Five before? If so, how was your experience? No, I've never order through Black Five. They look pretty new but it may be worth the gamble. Thanks! I'll give them a try soon. Fringe can take your outfit to different levels. I also like the brand Zensi (I believe that's how you spell it) – some products are sold at Nordstrom..anyway, the line combines the fringe with metal elements..feminine and edge at the same time.